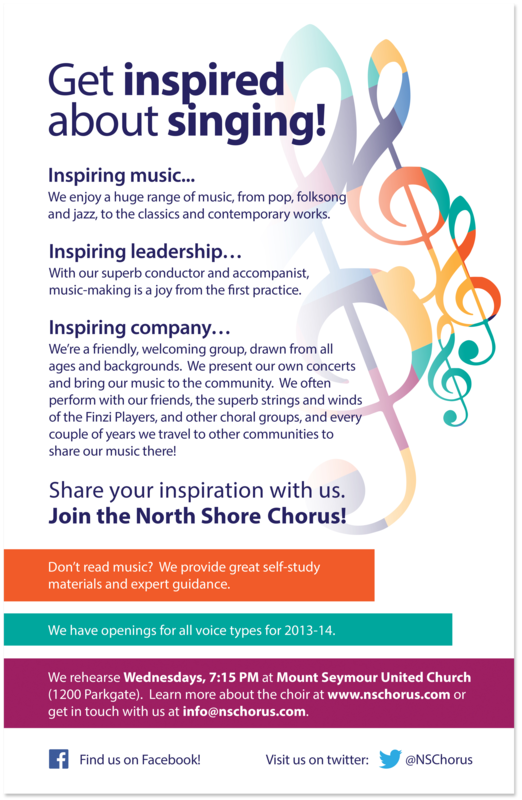 The mosaic treble clef from this recruitment poster for the North Shore Chorus was one of my favourite projects. My challenge was to create an image that somehow represented a choir – music notation was a basic starting point, but the idea of different elements coming together harmoniously was what I really wanted to get at. Illustrating the concept with colour made the poster fun and eye-catching, as well as sunny and inviting! Achieved!